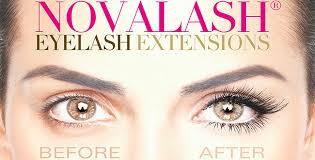 Lash Extensions are the most popular way to get fuller, thicker, longer lashes for a beautiful look. Schedule today with our very own NovaLash certified technician to get the bolder look of lashes that will last for weeks. NovaLash is a highly ranked and awarded company that’s exclusively used at Healing Springs. Call today for a consultation!